Elyssa Kates concentrates her practice in the areas of domestic and international corporate finance and financial restructuring. She has extensive experience in insolvency, including bankruptcy and receiverships, secured transactions and financing, multi-tranche loans, commercial litigation, financial fraud, and debtors' and creditors' rights. She represents contract counterparties, creditors, debtors, trustees, asset purchasers, transferees and landlords/lessors in bankruptcy, district and state courts. Elyssa's practice spans such industries as financial services, real estate, retail, media, shipping and logistics, public relations, hospitality and healthcare. 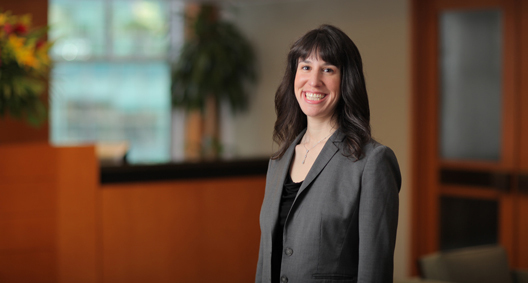 Before joining the firm, Elyssa represented some of the largest national and international financial institutions, insurance companies, manufacturers, landlords and real property holders in commercial, bankruptcy, creditors' rights and banking litigation and mediations, including contract issues, asset purchases, injunctions, reclamation claims, avoidance actions, actions to withdraw references, rejection claims, bond offerings, loan restructuring, banking regulations and automatic stay issues. Currently is involved in the investigation and litigation of issues on behalf of the Trustee for the Securities Investor Protection Act liquidation of Bernard L. Madoff Investment Securities LLC. Represents the plan trustee of the Taylor, Bean & Whitaker Plan Trust on such issues as judgment collection, foreclosure and creditor representation in various bankruptcy cases. Involved in the litigation of multiple issues on behalf of Hybris (U.S.) Corp., an e-commerce technology provider. Represented Metavante Corp., a counterparty to an interest rate swap agreement with various Lehman Brothers debtors. Represented Rajon Financial Enterprises GmbH and Rafael Roth, creditors and former clients of Dewey & LeBoeuf LLP. Represented Kuehne + Nagel Inc., a defendant in an avoidance action brought on behalf of INYX USA Ltd. Represented Cordell funds, as noninstitutional secured lenders of entities related to The 1031 Tax Group debtors. Represented Forest Hills Hyperbaric LLC in a contract dispute. Represented Medicine Shoppe International, a secured creditor of R.G. Pharmacy Inc. Represented OTR, administrative creditor and landlord of Fedders Corp. Represented QTS Logistics Inc. and Quality Transportation Services of Nevada Inc., statutory secured creditors of various Fontainebleau Las Vegas debtors. Represented Tradesmen International Inc., a statutory creditor in connection with a public improvement project. Represented national and regional banks in claims involving lender liability, including issues arising under the Truth in Lending Act and the Fair Credit Reporting Act. Represented hard money lenders in claims involving loan documentation and securitization, including enforceability of guarantees. Counseled commercial financers on matters relating to business lending including working capital and acquisition financing. Representation involved negotiating and litigating over matters concerning term loans, including balloon loans, revolving loans, letters of credit, forbearance, cross-collateralization, acceleration, foreclosure on collateral and collection. Counseled banks and litigated claims involving negotiable instruments and Articles 3 and 4 of the Uniform Commercial Code. Represented a mortgagee in connection with Alt-A and subprime loans and related bundling issues. Counseled a mortgage lender on issues arising from data breaches. Represented lenders in connection with regulatory issues, including areas of suspicious activity. Represented an issuer in the preparation of placement documents. Represented a broker-dealer in litigation stemming from a failed high-yield bond offering.